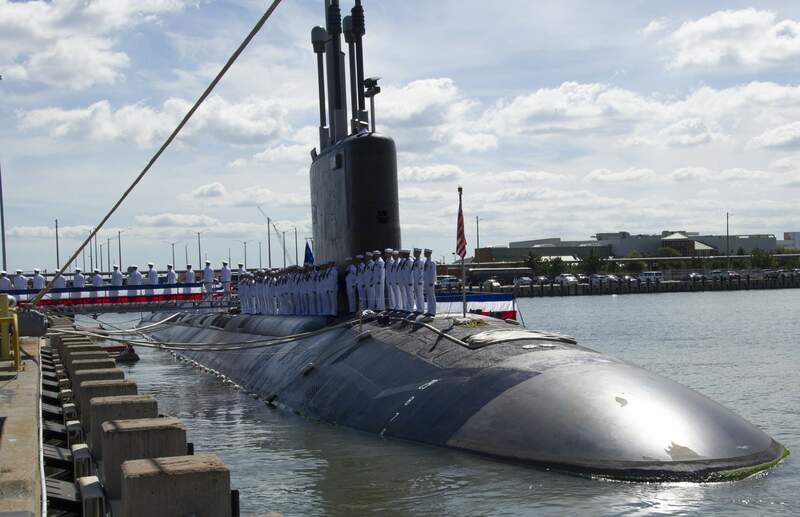 Virginia Class Attack Submarine: Named PCU Minnesota (SSN-783) construction began at Northrop Grumman Newport News in February, 2008. The ship was named on 15 July 2008, launched on 27 October 2012 and commissioned on 7 September 2013. 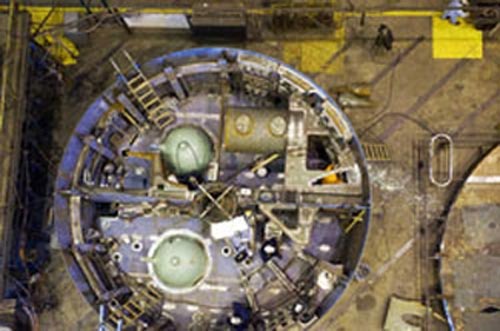 Specifications:Power Plant: One S9G pressurized water reactor, 29.84MW (40,000hp), one shaft with pumpjet propulsor, Improved Performance Machinery Program Phase III one secondary propulsion submerged motor. Displacement, 7,800 tons submerged. Length: 377 feet. Draft: 32 feet. Beam: 34 feet. Speed: 25+ knots submerged. Depth: Greater than 800 feet. Horizontal Tubes: Four 21" Torpedo Tubes, Vertical Tubes: 12 Vertical Launch System Tubes, Weapons: 38 weapons, including: Vertical Launch System Tomahawk Cruise Missiles, Mk 48 ADCAP Heavyweight Torpedoes, Advanced Mobile Mines, Unmanned Undersea Vehicles, Special Warfare: Dry Deck Shelter. Advanced SEAL Delivery System. Sonars: Spherical active/passive arrays. Light Weight Wide Aperture Arrays. TB-16, TB-29, and future towed arrays. High-frequency chin and sail arrays. Countermeasures: 1 internal launcher (reloadable 2-barrel) 14 external launchers. Crew: 113 officers and men. 886k A cut out of the Virginia class (SSN-774) submarine characteristics. Courtesy of csp.navy.mil. 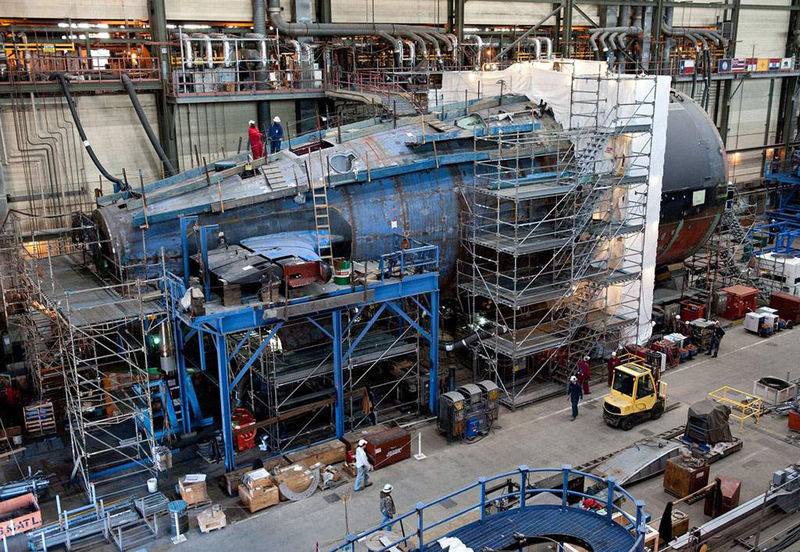 59k Minnesota (SSN-783) under construction, August 2009. Courtesy of nn.northropgrumman.com. 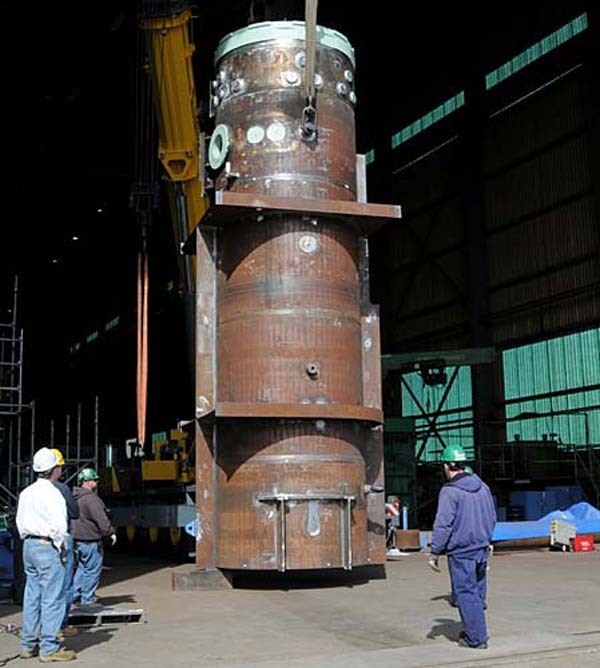 77k This is the first photo of any component going into the new Minnesota (SSN-783) currently being built. It's a new sort of missile launch tube -- Two of these babies can do what a dozen of the old sort of missile tubes could do. I wish I could explain how, but can't say for sure. I'm guessing they either hold six missiles per tube, or have a reloading system of some sort. Courtesy of areavoices.com. 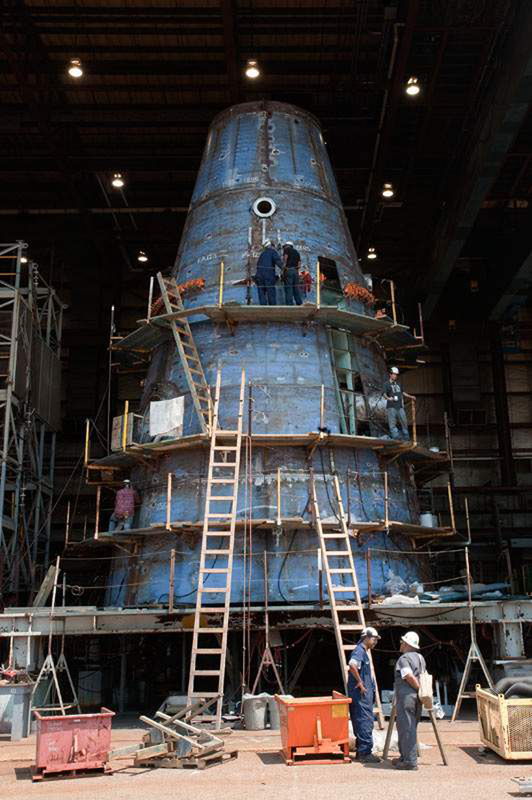 133k Minnesota (SSN-783) under construction. You can see that this photo was taken in Autumn 2010 by the changing hues of the metal. Photo courtesy of sb.northropgrumman.com via Bill Gonyo. 351k Newport News Shipbuilding, a division of Huntington Ingalls Industries, hosted a keel laying ceremony today, 20 May 2011, for the pre-commissioning unit Minnesota (SSN-783), a submarine named for the North Star State. 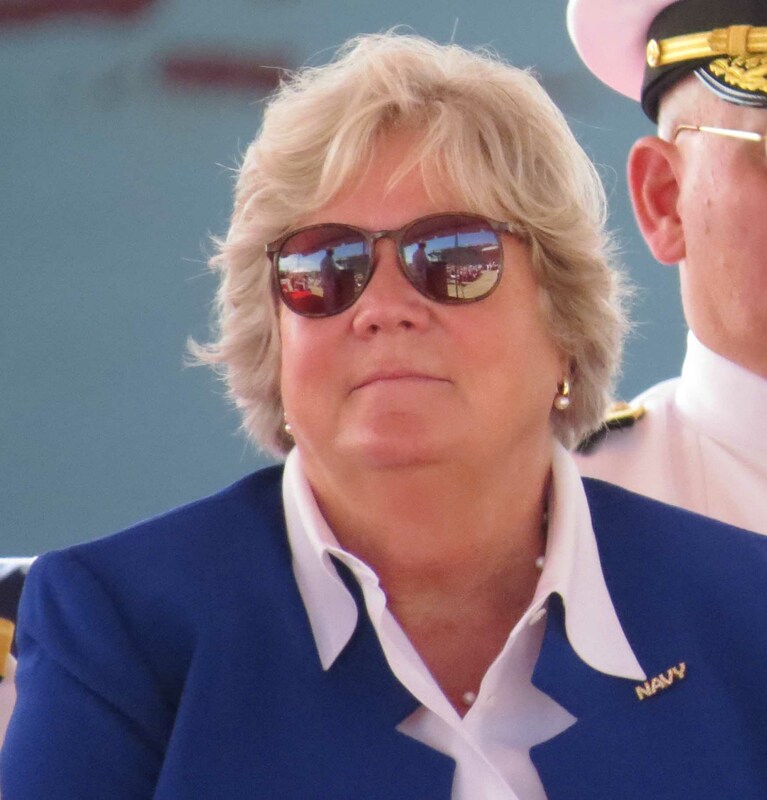 Ellen Roughead, Minnesota native and wife of Chief of Naval Operations Adm. Gary Roughead, is the ship's sponsor and served as the keel authenticator for the ceremony. She authenticated the keel by chalking her initials onto a metal plate. Her initials were then welded onto the plate, which will be permanently affixed to the ship. Photo by Chief Mass Communication Specialist Tiffini Jones Vanderwyst courtesy of Newport News Shipbuilding via Bill Gonyo. 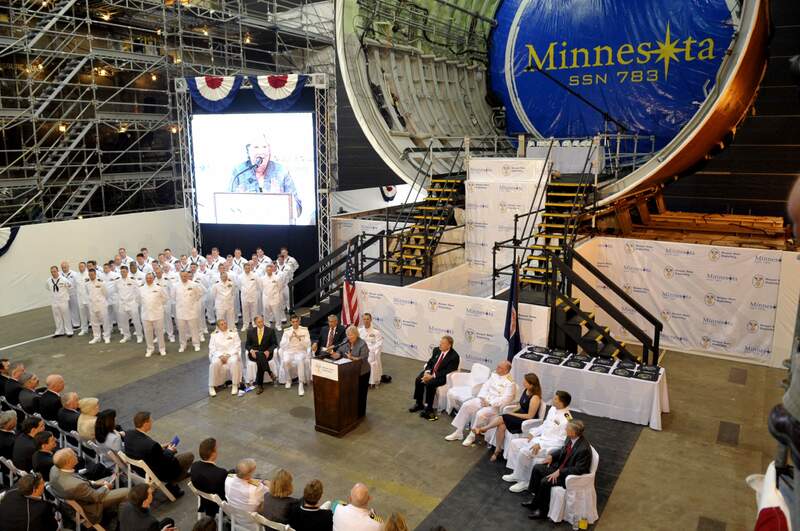 628k Ellen Roughead, wife of Chief of Naval Operations Adm. Gary Roughead, and sponsor of the tenth Virginia-class submarine Pre-commissioning Unit (PCU) Minnesota (SSN-783), delivers her remarks during the boat's keel laying ceremony. Photo # N-ZB612-258 by Chief Mass Communication Specialist Tiffini Jones Vanderwyst courtesy of navy.mil via Bill Gonyo. 482k Chief of Naval Operations (CNO) Adm. Gary Roughead, and the ship's sponsor, Ellen Roughead, thank crew members and their families at the keel laying ceremony of the Pre-Commissioning Unit (PCU) Minnesota (SSN-783) in Newport News, Va. Photo # N-ZB612-424 by Chief Mass Communication Specialist Tiffini Jones Vanderwyst courtesy of navy.mil via Bill Gonyo. 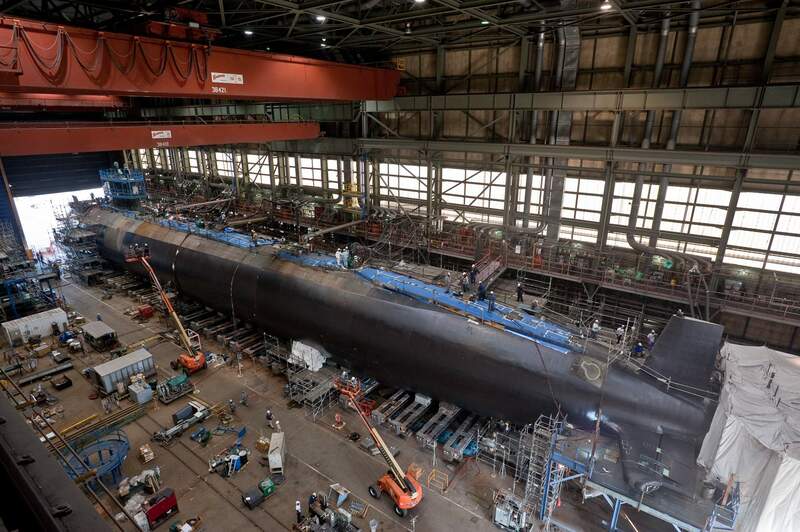 416k Stern section of thr pre-commissioning Unit (PCU) Minnesota (SSN-783) under construction. Photo # 10521 courtesy of globenewswire.com & huntingtoningalls.com via Bill Gonyo. 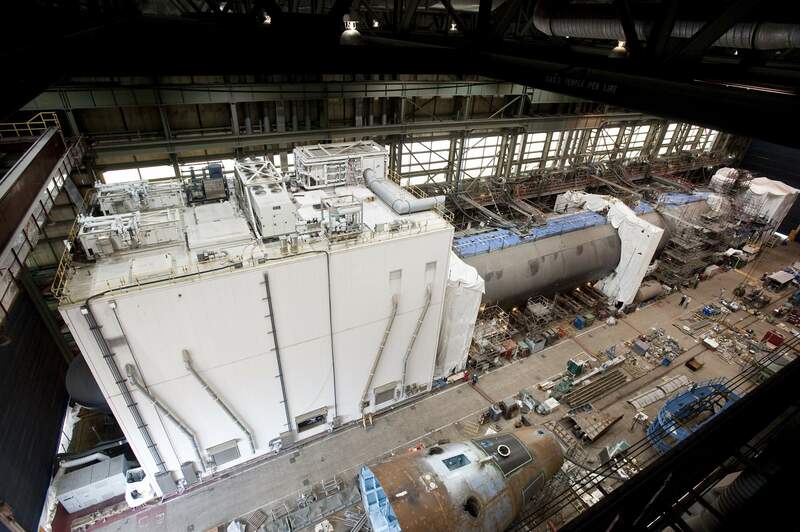 1.00k Stern section of thr pre-commissioning Unit (PCU) Minnesota (SSN-783) under construction. Photo # 10522 courtesy of globenewswire.com & huntingtoningalls.com via Bill Gonyo. 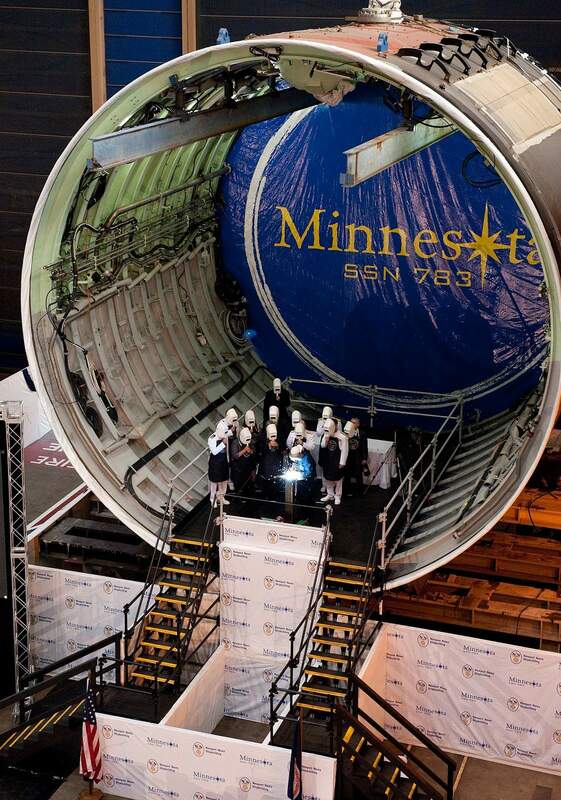 387k The submarine Minnesota (SSN-783) is "pressure hull complete," signifying that all of the submarine's hull sections have been joined to form a single, watertight unit. Photo # 13914 courtesy of globenewswire.com & huntingtoningalls.com. 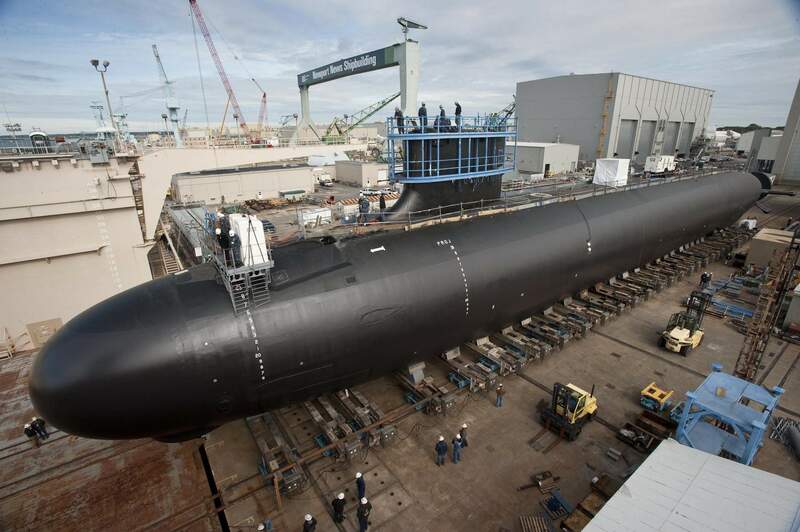 428k The attack submarine Pre-Commissioning Unit Minnesota (SSN-783) under construction at Newport News Shipbuilding on 5 October 2012. USN photo # N-ZZ999-002 by Chris Oxley courtesy of navy.mil. 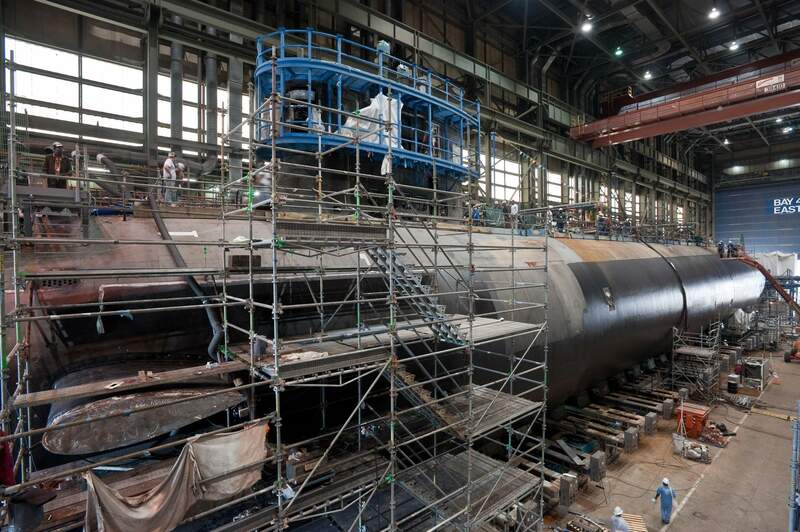 436k The attack submarine Pre-Commissioning Unit (PCU) Minnesota (SSN-783) under construction at Newport News Shipbuilding on 5 October 2012. Photo # N-ZZ999-002 by Chris Oxley courtesy of navy.mil. 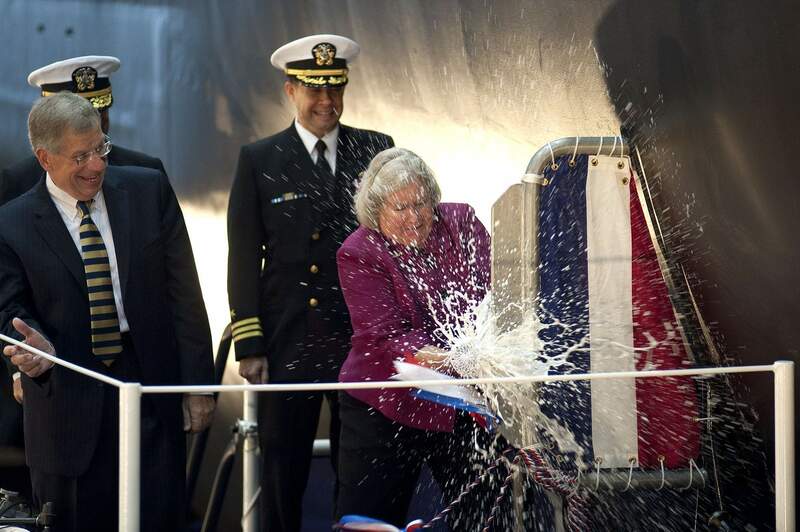 520k Minnesota (SSN-783) was a hit with the wine during her christening ceremony at Newport News Shipbuilding on 27 October 2012. 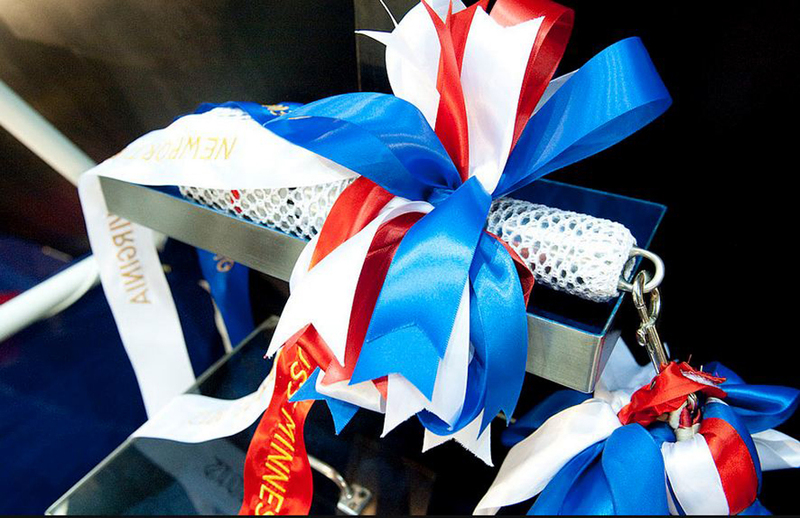 Photo by Ricky Thompson, courtesy of nns.huntingtoningalls.com. 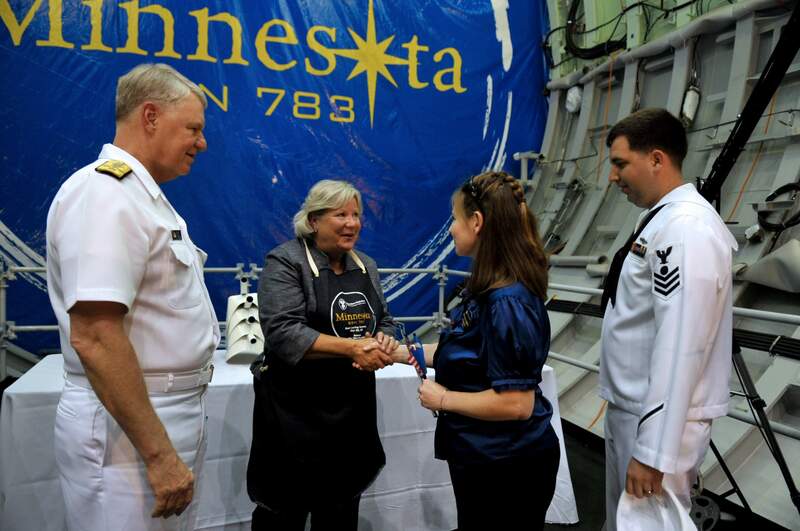 352k Ship's Sponsor Ellen Roughead performs the traditional honor of breaking a bottle of American sparkling wine across the hull of the submarine Minnesota (SSN-783). Also pictured (left to right) are Newport News Shipbuilding President Matt Mulherin and Cmdr. John Fancher, the ship's prospective commanding officer. Photo # 16387 courtesy of globenewswire.com & huntingtoningalls.com. 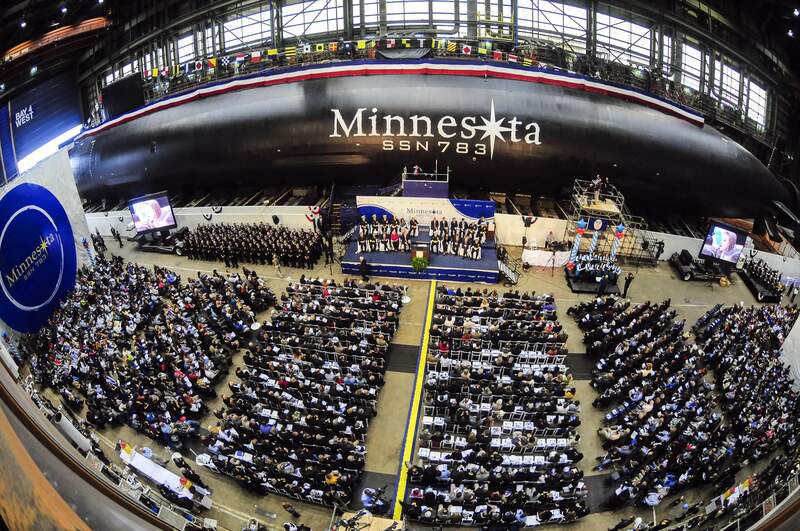 594k About 1,800 people gathered for the christening celebration of Minnesota (SSN-783). 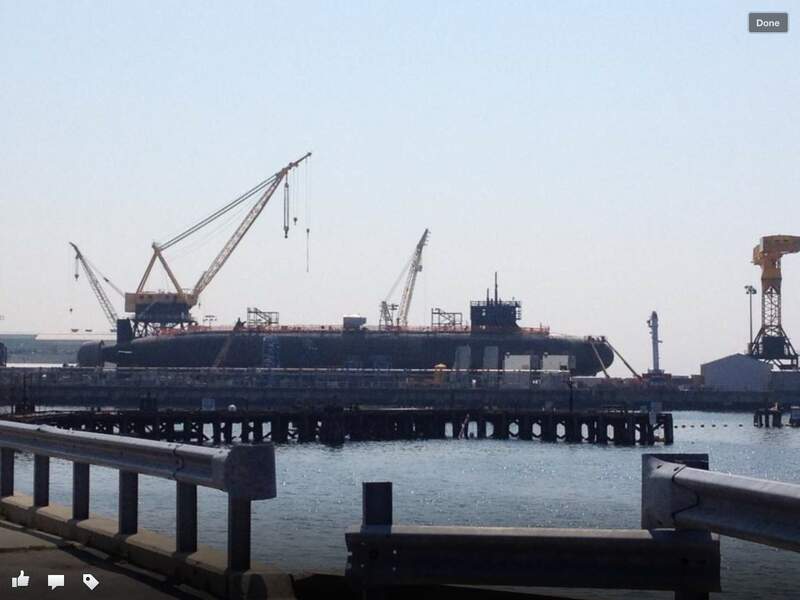 The submarine is about 88 percent complete and is on track to complete in 62 months -- 11 months ahead of contract schedule. Photo # 16388 courtesy of globenewswire.com & huntingtoningalls.com. 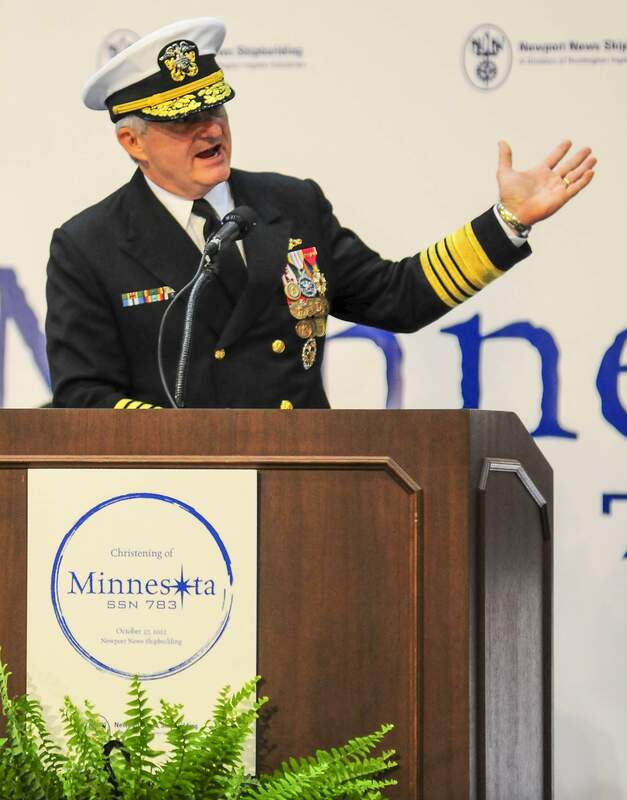 408k Adm. Kirkland Donald, director of Naval Nuclear Propulsion, delivers remarks during the christening ceremony for the attack submarine Pre-Commissioning Unit (PCU) Minnesota (SSN-783). Photo # N-QL471-163 by Mass Communication Specialist 3rd Class Billy Ho courtesy of navy.mil. 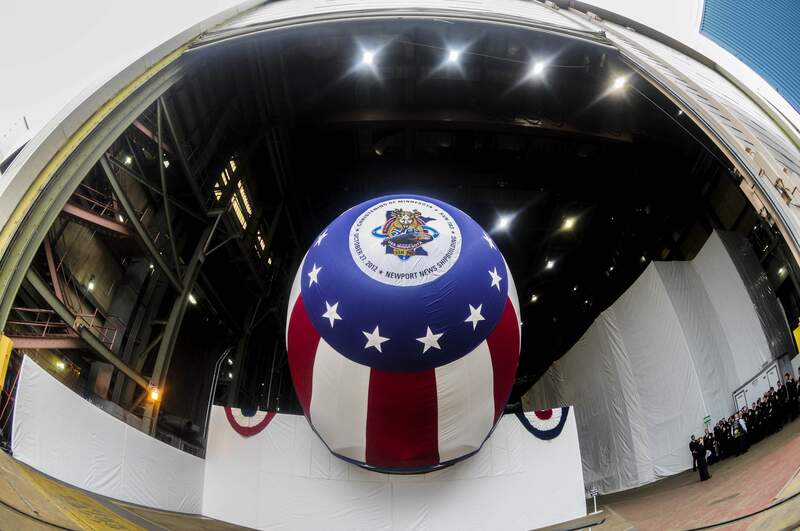 1.60k Newport News Shipbuilding hosts the christening ceremony for the attack submarine Pre-Commissioning Unit (PCU) Minnesota (SSN-783). Photo # N-QL471-245 by Mass Communication Specialist 3rd Class Billy Ho courtesy of navy.mil. 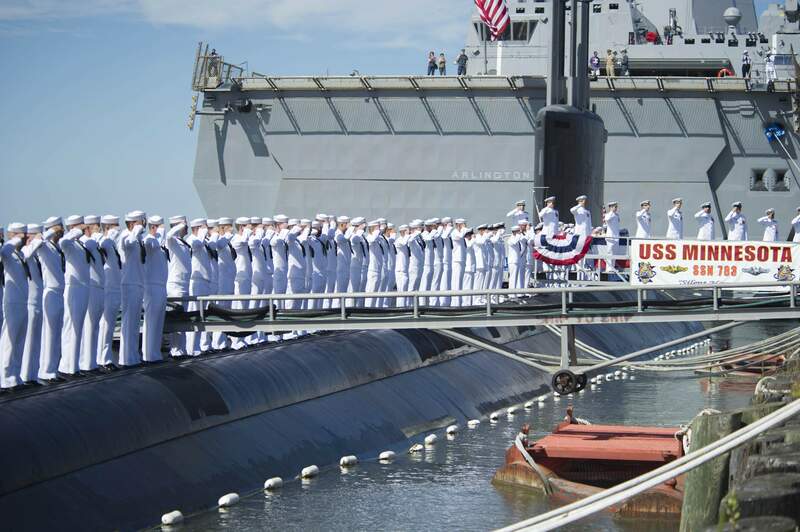 741k The attack submarine Pre-Commissioning Unit (PCU) Minnesota (SSN-783) is christened at Newport News Shipbuilding on 27 October 2012. Photo # N-QL471-016 by Mass Communication Specialist 3rd Class Billy Ho courtesy of navy.mil. 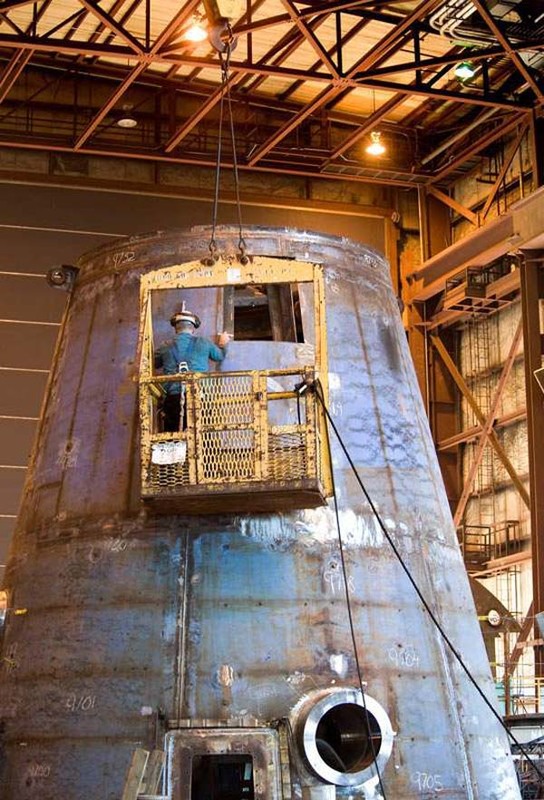 300k The attack submarine Minnesota (SSN-783) under construction on 1 November 2012 at Huntington Ingalls Newport News Shipbuilding. USN photo # 121101-N-ZZ999-205 courtesy of Newport News Shipbuilding. 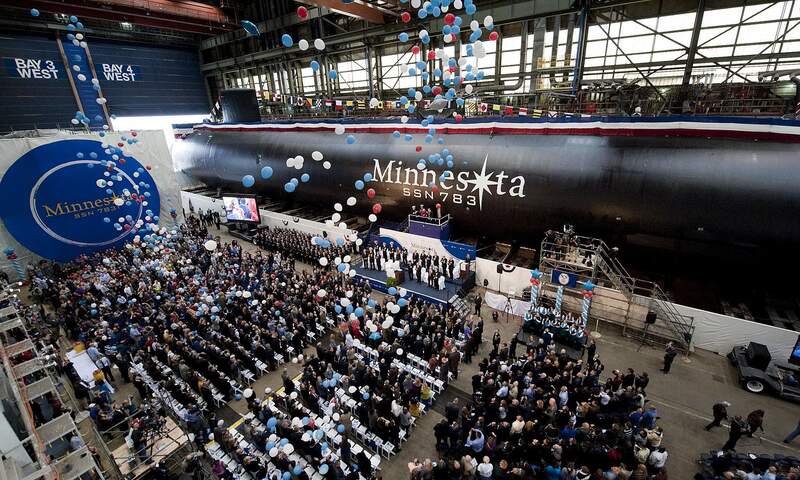 898k Sailors assigned to attack submarine Minnesota (SSN-783) man the rails after the order to "bring the ship to life" is given during the commissioning ceremony for Minnesota. U.S. Navy photos # N-XQ474-161 & N-AP176-118 courtesy of Mass Communication Specialist Seaman Andrew Schneide via navy.mil. 308k Speakers' stand during the National Anthem. Photo courtesy of S. Dale Hargrave. 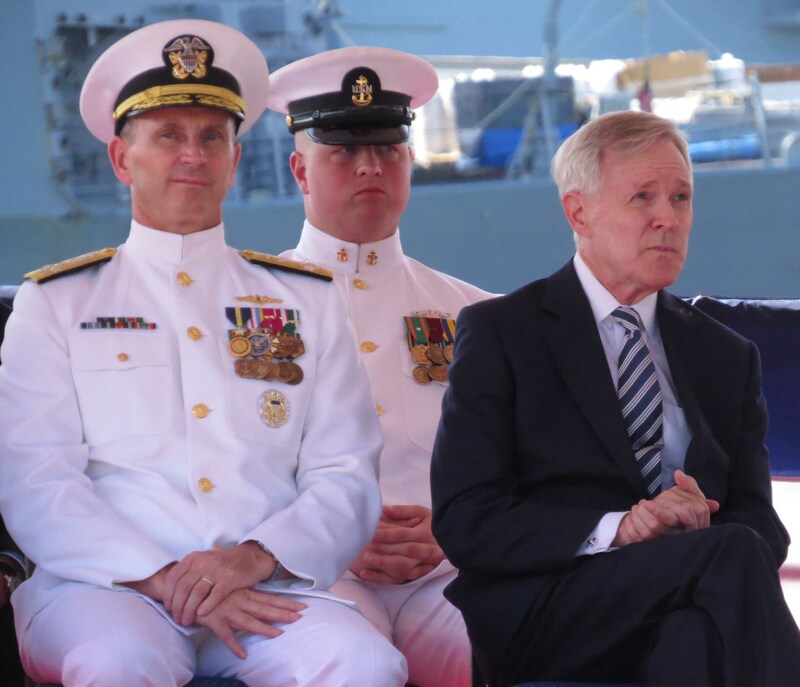 175k Adm Jonathan Greenert CNO, SecNav Ray Mabius. Secretary of the Navy, Principal Speaker. Photo courtesy of S. Dale Hargrave. 266k Raising the commissioning flag. Photo courtesy of S. Dale Hargrave. 266k Ellen Roughhead, boat's sponsor sees stero. Photo courtesy of S. Dale Hargrave. 156k Minnesota (SSN-783) heading for the sea. Photo courtesy of S. Dale Hargrave. 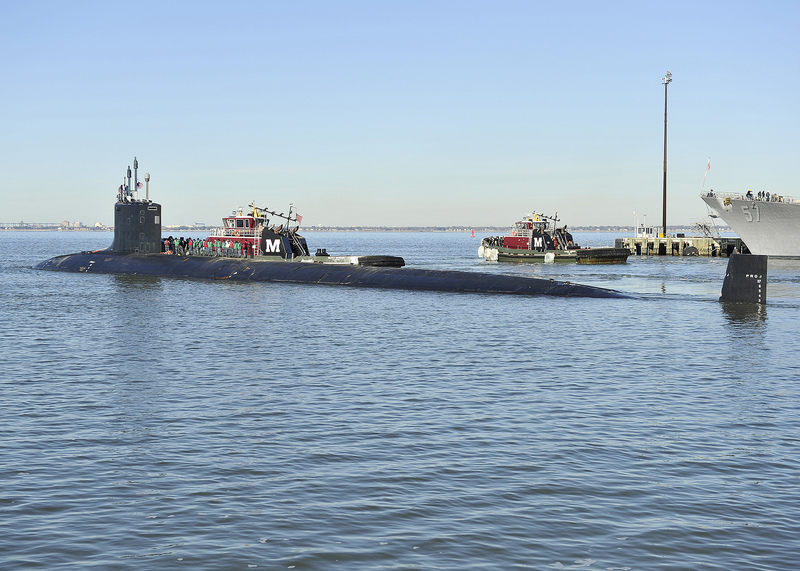 1.50k The Minnesota (SSN-783) departs Naval Station Norfolk for its permanent homeport at Naval Submarine Base, Groton, Conn. on 8 January 2014. 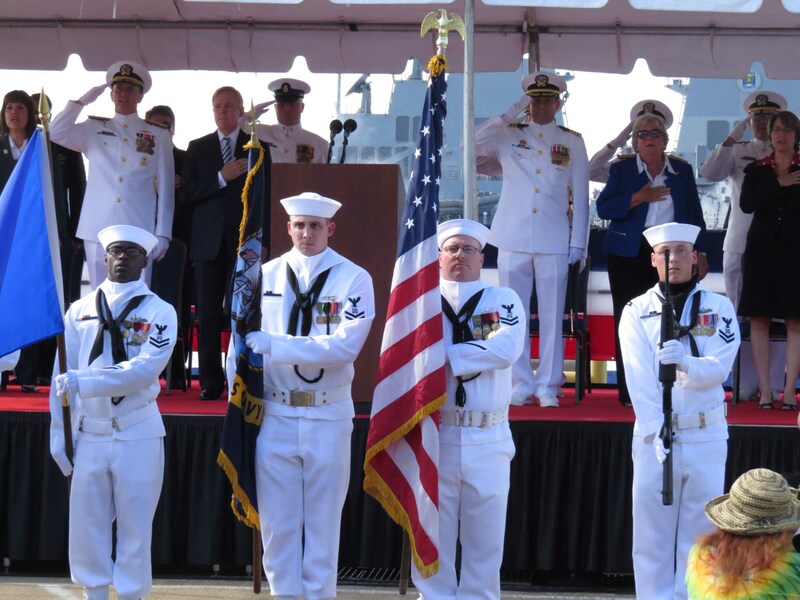 Minnesota was commissioned in Norfolk on 7 September 2013. 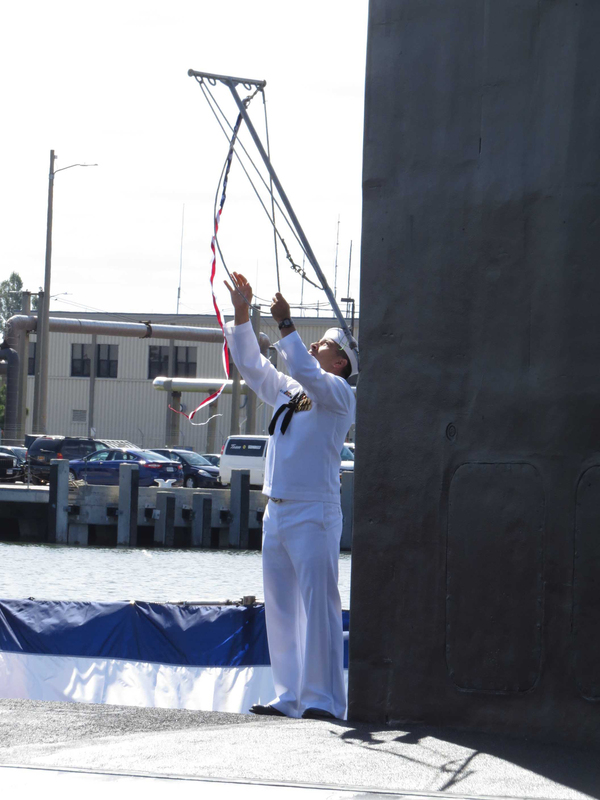 The boat will be assigned to Commander, Submarine Squadron (SUBRON) 4 in Groton. Photo # 140108-N-HU624-090 by Mass Communication Specialist 1st Class Shannon D. Barnwell courtesy of navy.mil. 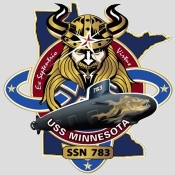 There is no DANFS History currently available for Minnesota (SSN-783) at the Haze Gray & Underway Web Site, the main archive for the DANFS Online Project.